Here’s a new little diddy I wrote. It’s is a snarky protest song against the person who “won” the 2016 election. We’ve let the bull into the china shop. 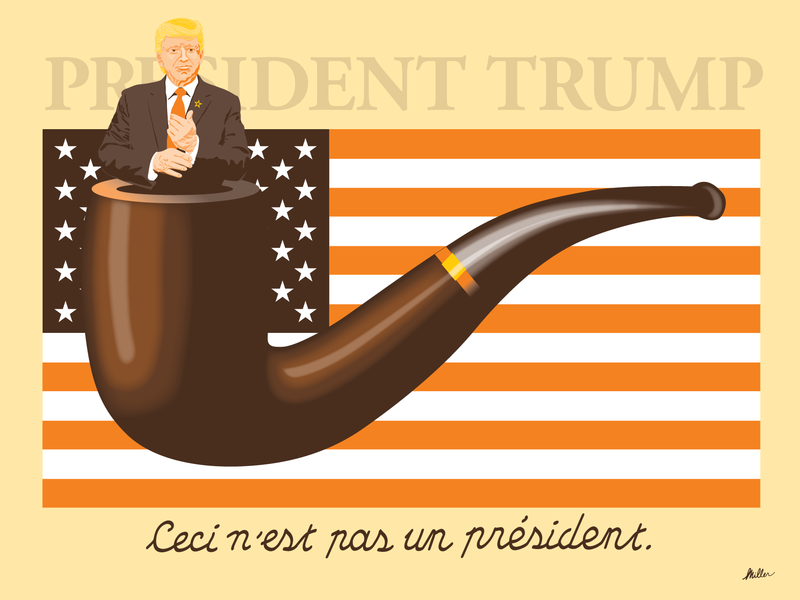 Parody of Rene Margritte’s painting, “Ceci est une pipe,” or Treachery of Images. My Signal Return’s “Power of the Press,” poster competition entry. 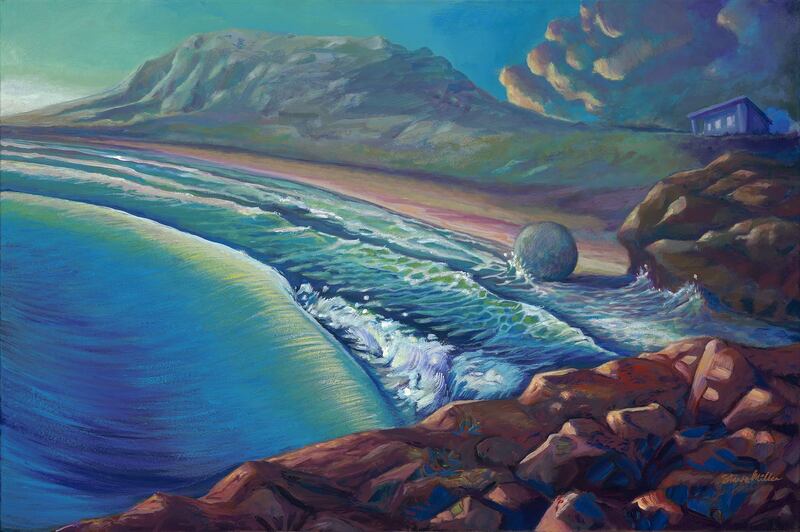 An acrylic landscape painting with the view of an imaginary beach… have a ball at the beach! This painting was a valley before it was a beach. Fabricating Daydreams!